Gloria Lynne was a distinctive vocalist from the 60s, whose warm, soulful voice had a similar energy to the correctness of Nat King Cole, with the fragility of Peggy Lee. Diane Marino shares the Lee type vocal, and this song has a beneficial dose of sass from Roy Agee and Brad Cole. "The Jazz in You" written by Chris Towns & Luther Dixon- A cool swingy thing with a mysterious soulful yet playful vibe. 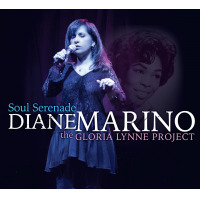 From the new CD release "Soul Serenade"-The Gloria Lynne Project. 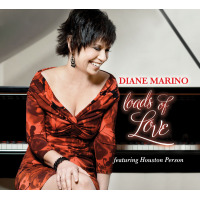 "Jazz vocalist Diane Marino presents an album of rarely heard and totally refreshing songs made popular by the great Jazz-Soul/Jazz vocalist Gloria Lynne. An eclectic group of creative arrangements and orchestrations along with stellar musical performances celebrate this wonderful and memorable material."